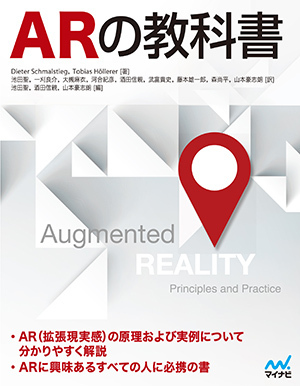 On July 30, 2018, a Japanese version of “Augmented Reality: Principles and Practice” will be published from Mynavi Publishing Corporation. The book introduces principles, practices, and research examples on how to overlay generated computer graphics onto the real world. It is a comprehensive guide to AR / MR / VR for anyone interested in these areas. It also helps to overview typical techniques, representative research examples and technical papers in the past. Professor Kiyokawa was involved in the production of the original work as a Technical Reviewer, and Associate Professor Sakata worked on the Japanese version as an editor and translator. In addition, several students in our laboratory also helped as a reviewer of the book.